All Heathsville homes currently listed for sale in Heathsville as of 04/24/2019 are shown below. You can change the search criteria at any time by pressing the 'Change Search' button below. If you have any questions or you would like more information about any Heathsville homes for sale or other Heathsville real estate, please contact us and one of our knowledgeable Heathsville REALTORS® would be pleased to assist you. "Just a glimpse of this beautiful custom charmer will leave you wishing you never have to leave! As you make your way down the driveway you will marvel at the quaint Nantucket style meshed with a Modern Stately feel. Enter through the front door to a tiled luxury foyer with large columns that blend into the great room and kitchen to create an open concept living area, complete with granite counter." "Lose yourself in the river where water meets wood. The home~s soaring ceilings & walls of windows bring the natural environment into the living space of this private Deck House. If you are looking for a property where the beauty of the river & rural environment merge seamlessly with an extraordinary home, look no further. 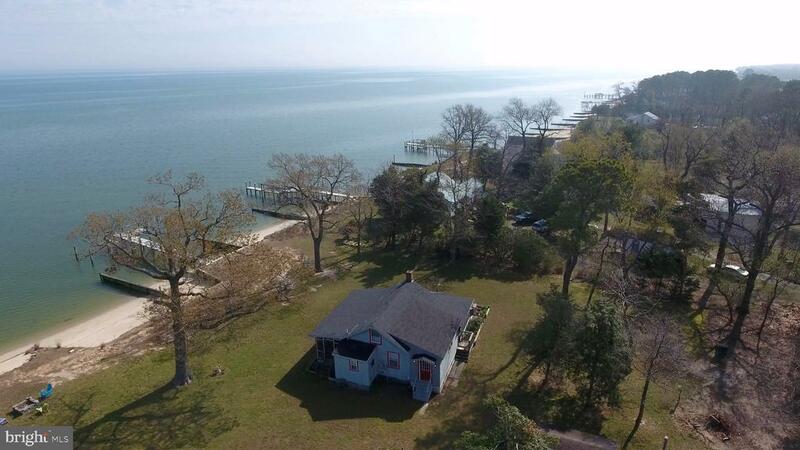 The river provides easy access to the Chesapeake Bay, fishing, beaches, dining & water sports. Great water depth available at the dock. Enjoy the pool with water views! Outdoor living space is provided by the screened porch, waterside deck & patio. The 1923 sf main level provides ideal 1 floor living. The open concept living area features vaulted ceilings & a fireplace. The spacious gourmet kitchen has water views & tons of counter space. The first floor master has a fireplace, sitting area, walk in closet & vaulted ceiling. The 2nd floor features a large loft, a full bath, and 2 guest bedrooms. The 1323 sf basement has been expertly finished. The large main room has an attached full bath & large storage closets provide storage space. Additional work & storage space is available in the attached garage and the detached 2 car garage with large unfinished area above"
"This custom built home features stunning water views on a protected cove, deep water, large boathouse, privacy & gorgeous high end construction and finishes! Water views greet you upon entering the home. The living room with vaulted ceilings has a gas log fireplace. The open floor plan has a great flow & is wonderful for entertaining. There is a large formal dining room with built-ins & great water views. The gourmet kitchen features Corian countertops, large island, gas cooktop, two ovens & a wet bar with granite. The luxurious master bedroom has wonderful views, a large master bath with tile shower, dual vanities, soaking tub & large walk-in closet! There are two guest bedrooms and each one has a private bath. There is a large office that provides additional living space & is the perfect spot for a sleeper sofa! The laundry room, garage foyer & partial bath have an outside entrance that is perfect for coming in from working in the yard or a day of fishing. The waterside patio provides gorgeous outdoor living space. There is a powder room off the main foyer. The oversized 2 car garage has a workbench and storage. From the dock with power and water it is a quick trip to the Bay!" "A Gorgeous Modern Victorian Coastal Home that Makes a Statement! About 4,200 sq ft of Luxurious interior living area that seamlessly flows to perfect exterior entertaining areas, this property was thoughtfully designed. 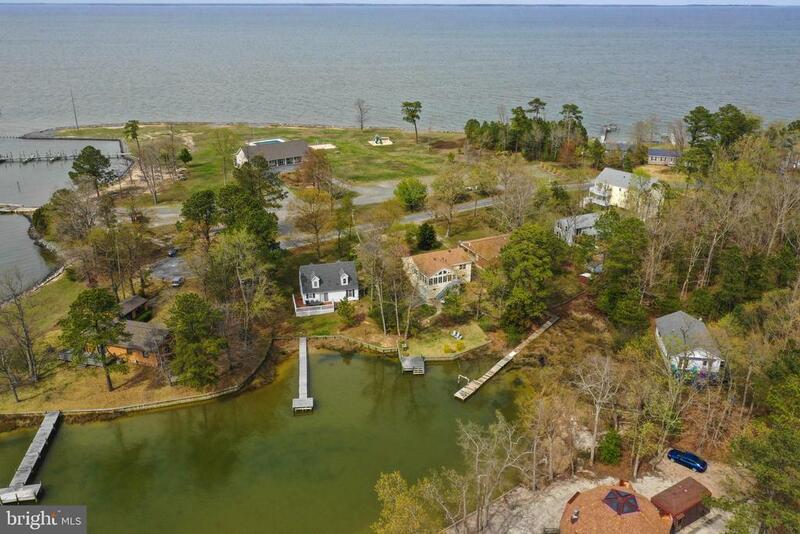 Situated on a 1.36 acre Premier waterfront parcel on the protected branch of the Little Wicomico River within minutes to the Chesapeake Bay, it welcomes the most meticulous buyer with custom details that are sure to please. Interior highlights include: 4 bedrooms, 3.5 baths, a large Master Suite, Tiled baths with Gorgeous details, Great Room with fireplace, All floors are warmed by radiant heat, River Room w/Vaulted ceilings, walls of glass for maximum views, Large Kitchen with Granite tops and Stainless Appliances, Heavy Moldings throughout, A Theater Room, wet bar area, Den/game-room in Basement & loads more to see! Private location on a cul-de sac gives this sophisticated home a feel of ultimate seclusion. Exterior Highlights include: circular Drive, low maintenance brick/vinyl siding, waterside Sundeck with retractable awning, stamped concrete front porch, a bulkheaded seawall and construction was started on 3 bay garage area. The walk-around pier with a boat lift offers deep water plus a great place to fish, crab and grow oysters. There is also a swim platform with a ladder to easily enjoy this beautiful body of water. 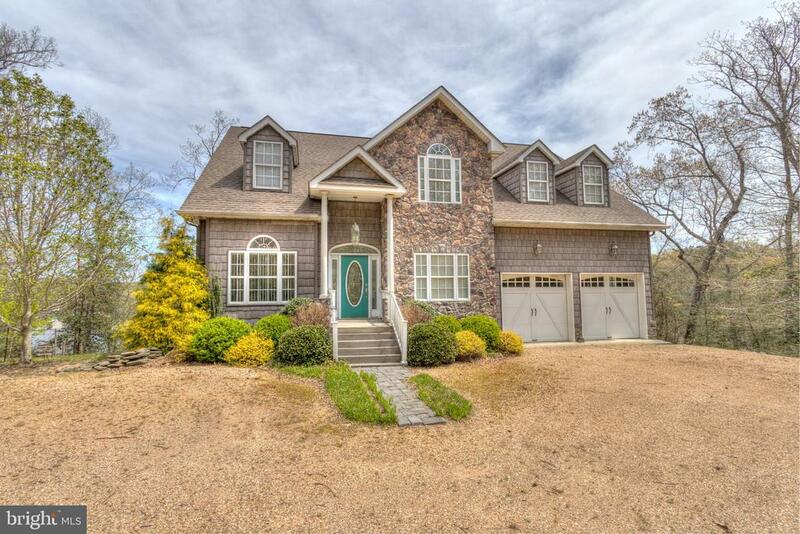 Architecturally designed and executed, this custom built home offers the very best of waterfront living in the Northern Neck of Va. Come Tour this fantastic property and you will want to make it Yours!" "Sunlight dances on shades of blue where the Potomac River meets the Chesapeake Bay! Enjoy expansive views from this lovely home in a fantastic neighborhood. The dock provides a wonderful place for fishing and relaxing. The manicured grass lawn on the waterside provides an idyllic setting for outdoor activities. The large waterside deck has ample space for lounge chairs and outdoor dining. The home has been lovingly maintained and is in great condition. The first floor features a large sunroom with walls of windows and stunning views. The master bedroom, kitchen, living room, family room, dining room and laundry are located on the 1st floor. The kitchen features a large bar, granite counter tops and fantastic views from the sink. The kitchen is open to the living room, a breakfast area and a gas log fireplace. The master bedroom has great views, a walk in closet, fireplace and large master bath with dual vanities, shower and soaking tub. The 2nd story has additional living space, 2 guest bedrooms and 2 full guest bathrooms. The 2 car garage and shed provide ample storage for your water toys, lawn equipment and cars. Sand beaches are a short trip away by boat. Community boat ramp"
"Spacious waterfront home with spacious open floor plan. Greatroom over looks large IPE/Brazilian Walnut covered deck on Cod Creek with waterview of the Potomac River. This property is ideal for single or multi/group purchasing as it has 5 bedrooms plus a bonus room. Original section was built in 1991 and the addition was added in 2018. Lower level offers massive greatroom with breakfast nook - kitchen area with lots of cabinets, master bedroom, master bath with large tile shower, 2 guest bedrooms, full bath with tub, utility room with wash sink, office with outside entrance. Upper level offers 3 guest bedrooms with tile shower bathroom. Several closets throughout. Dual-zoned Heatpump. Attached two car garage. In-ground salt swimming pool. Pier with boat lift, jet ski lift, electric. Artesian well. Asphalt driveway. Partially fenced yard. Creek/River water views from most rooms. Low maintenance home with many additional features. 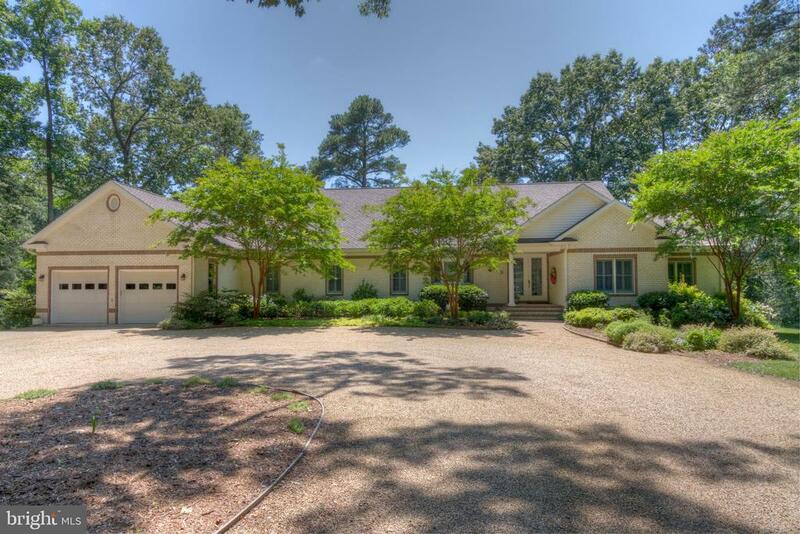 Relax and enjoy"
"Fall in love with the Rivah at this amazing home on a point with over 650' of waterfront! The views out to the Potomac are just as stunning as the house! The dock has power, water, a boat lift, jet ski lift, floating jet ski dock, floating dock, a large platform & deep water! This home was completely remodeled between 2009 & 2012. The living room with wood burning fireplace has recessed lighting & water views. The kitchen is bright, open to the large dining room & features water views from the main sink. The granite, 2nd sink, lighting, stainless steel appliances & island make this kitchen a cooks dream! The creek room features post & beam construction, vaulted ceilings, water views and wet bar. The owner~s suite is spacious & updated! There is a huge walk-in closet, private sunroom with vaulted ceiling and bath with dual vanities & exterior access. The home is completed by 2 guest bedrooms, full guest bath, waterside bonus room & powder room. Your investment is well protected as the majority of the shoreline has already been rip rapped. The huge waterside deck provides amazing outdoor living space. The oversized detached 2 car garage has storage & a finished workshop." "Stunning views of Hack Creek from your master bedroom, kitchen, great room and family room. Gorgeous renovated home features pine flooring, gourmet eat in kitchen with vaulted white washed wood ceiling, granite countertops, gas cooktop, convection ovens, large island with breakfast bar. Cozy up to the stone wood burning fireplace in the great room with dining area. Plenty of space to entertain in the family room with built in cabinetry, vaulted ceiling and large windows. Master bedroom, with en suite, has walk out access to the rear deck/patio. Second floor bedroom has room for extended family and friends. Spend warm summer evenings on the rear patio, deck, pier or inside the screened in porch. Fabulous community amenities right across the street; sandy beach, swimming pool, tennis courts, walking paths, storage facility for boats, RV's and kayaks. Controlling depth waterway." 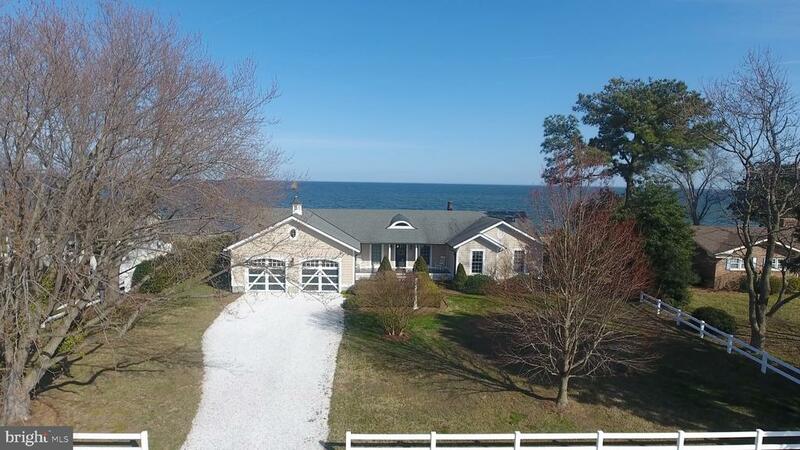 "SPECTACULAR PANORAMIC VIEWS of the Chesapeake Bay from your Great Room! Enjoy the large deck while looking at the beautiful water and birds. This 3 bedroom ranch features Copper gutters, Cedar vinyl siding, Anderson windows & doors, open floor plan and Brazilian Cherry floors. Chef's kitchen features KRAFTMAID MAPLE CABINETS, GRANITE COUNTER TOPS w/ travertine back splash, Barrel ceiling and GE Profile appliances. The living room features a WOOD FIREPLACE and an additional (propane) gas stove in the great room. The master bedroom overlooks the bay. This home features two nice size bedrooms, as well as bonus room/office, an oversize 2 car garage, brick walkway, white stone driveway and wonderful landscaping. High Speed Internet,.Home is not in a flood zone; sandy beach at low tide. This is home was completely renovated in 2007 with the finest materials, craftsmanship, design and is a 'must see' home!!" 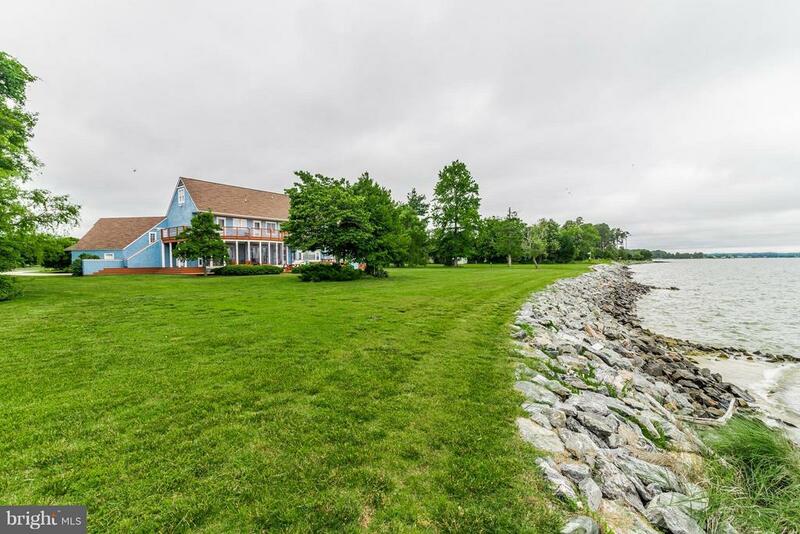 "Enjoy privacy, an elegant home and waterfront living at this fantastic property on the Great Wicomico River! The home has a wonderful open floor plan, wood floors and tall ceilings. The first floor features a great room with gas log fireplace that is open to a large kitchen with gas cook top, double oven, stainless steel appliances, under bar fridge, and bar sink. The first floor master is spacious and has a walk-in closet and beautiful master bath w/ soaking tub, dual vanities and water closet. The first floor is completed by a full guest bath, formal dining room and en. The second floor has 2 ensuite bedrooms, a small bonus room and a large bonus room that would be perfect for bunk beds or a game room. There is a full basement that is partially finished and included a workshop, wood stove and loads of storage! Outdoor living spaces include a huge waterside deck and gazebo with firepit. The house is nicely elevated and the walk to the dock through the woods is beautiful. Located in a wonderful waterfront community this home has access to a boat ramp, pool, clubhouse, multiple freshwater pond and lakes as well as tennis and basketball courts." 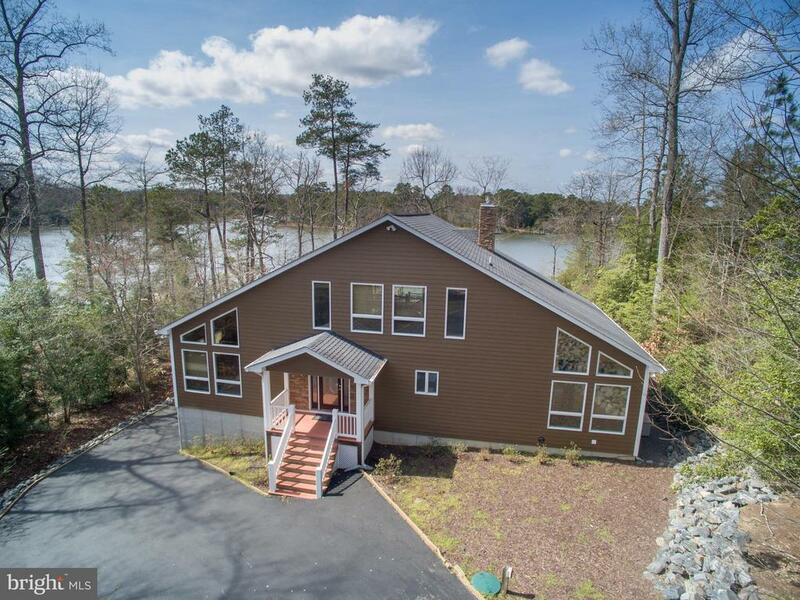 "Incredible home on The Great Wicomico River with beautiful views & unique touches that really make this a special river house. Open floor plan, bamboo floors, kitchen with stainless steel appliances & granite counters, great room with wall of glass, big water views & stone gas fireplace. First floor waterside master bedroom en suite w/ vaulted ceiling, fireplace, wall of glass, deck access. Master Bathroom has tile floors, dual vanity & lots of natural light. Guest wing w/ full bathroom & two bedrooms with vaulted ceilings & wood floors. Second floor loft w/ full bathroom for extra guests or office space. Partial basement with insulation, heating/cooling & basement level 2 car garage. Generator! The covered front porch offers a great first impression of the home. The full length waterside deck can accommodate all of your entertaining needs. Pier with boat lift, two jet ski lifts & two floating docks. The Great Wicomico River offers deep & protected water, perfect for tubing & skiing, kayaking & paddle boarding but also with access to The Chesapeake Bay w/ great fishing at your fingertips. Community offers pool, club house, boat ramp, pier, tennis courts. Must See! 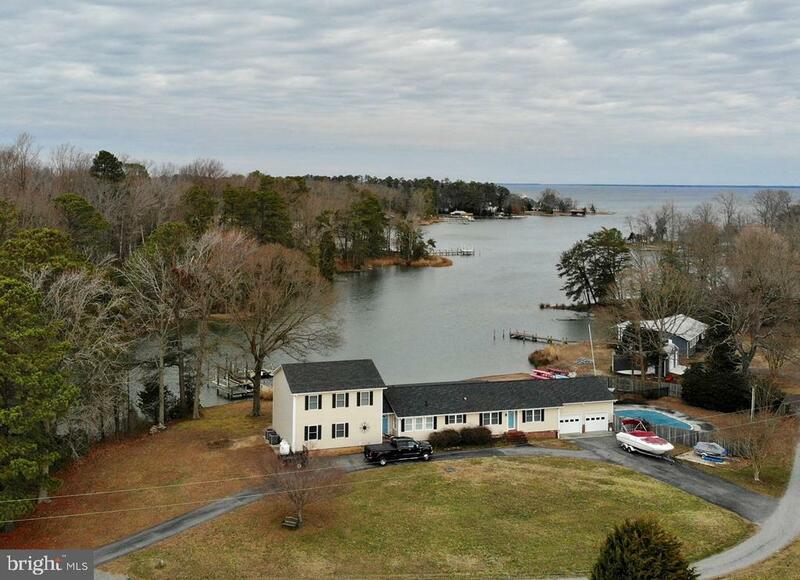 Shows like new"
"*JUST REDUCED*Great Wicomico River-Northern Neck of VA! 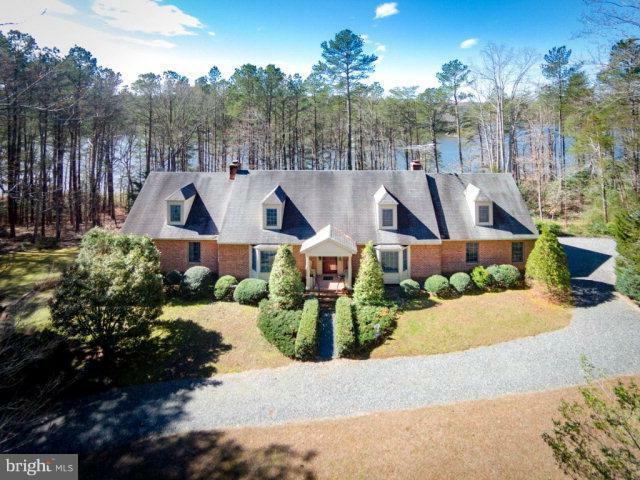 Spacious all Brick home on 4.95 Private, Wooded Acres with over 300 Ft of shoreline, deep water pier & wide water views. This 3 Bedroom, 3.5 Bath home has a great floorplan with Hardwood Floors, main level Master Suite on the Waterside, Family Room with fireplace, Formal Dining Room & Cozy Den with Fireplace. The exterior is well maintained and has a walk way to the water wide enough to ride your golf cart down to the pier! The tranquil setting also includes a portion of property across the gravel road that owner states may have the possibility to build on! Other great features include: full walk out Basement with workshop, whole house Generator, dual zone Heat Pump systems, large Detached Storage Building, Attached 2 car Garage & another Shed for lawn equipment. Fish crab & oyster right from your pier or ride out to the Chesapeake Bay for some of the areas best crabbing & fishing! Call today for details or to schedule a showing." 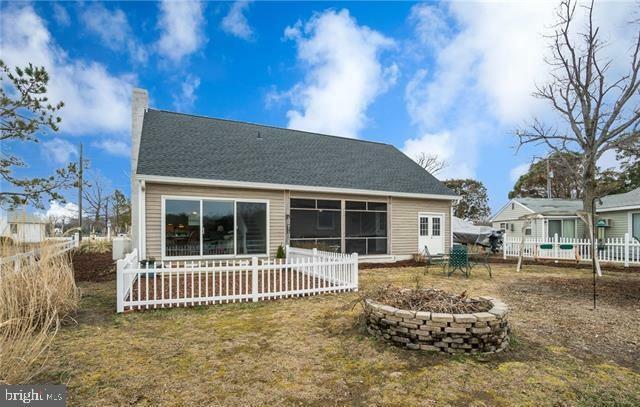 "Open floor Contemporary home is minutes away from Little Wicomico River, Jetty & beach. 1st floor master bedroom, family room, porches, & over garage 2nd story bonus room. Dock w/ boat/jet ski lifts, H20/elec, fuel reservoir & fish cleaning station. Covered porches off the master bedroom & family room. Stone fireplace in family room. 3 zoned heat pumps along with a Central wood burning boiler." 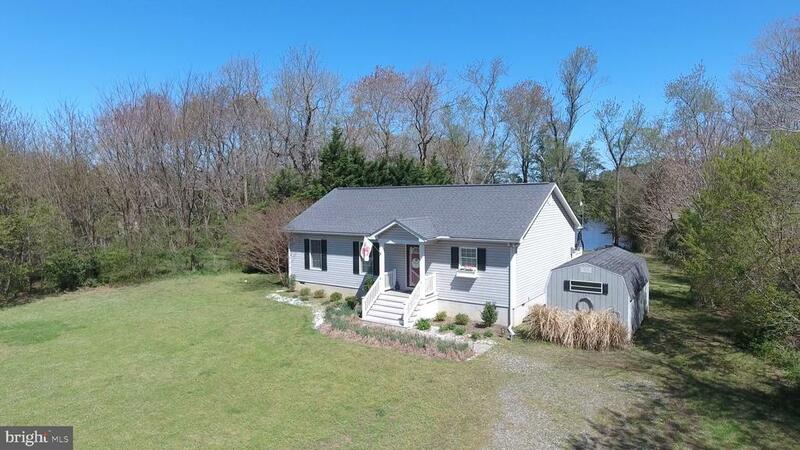 "Perfect Waterfront Retreat on a 1.3 Acre point of land on Spences Creek off the Little Wicomico River! Fish, crab and oyster right from the pier with boat lift or take a quick boat ride out to Potomac River & Chesapeake Bay! This low maintenance, one level Ranch Style home is situated on a nice level lot (no steps to pier) and offers an open floor plan, cozy gas log Fireplace in Living Room, spacious Kitchen with island , a luxurious waterside Master Suite with his/her closets, jetted tub, double vanities & tiled shower, waterside All Seasons Room, 2 additional bedrooms & a Full Bath. The All Seasons Rooms opens to the waterside deck with vinyl & composite decking and is a great place to relax & enjoy all of the wildlife, sunsets and views! This property has great upgrades including: Solar Tube Lighting, Tankless Rinnai Water Heater, nice front Porch and Attached Garage. NO HOA! Metrocast High Speed Internet is Available! 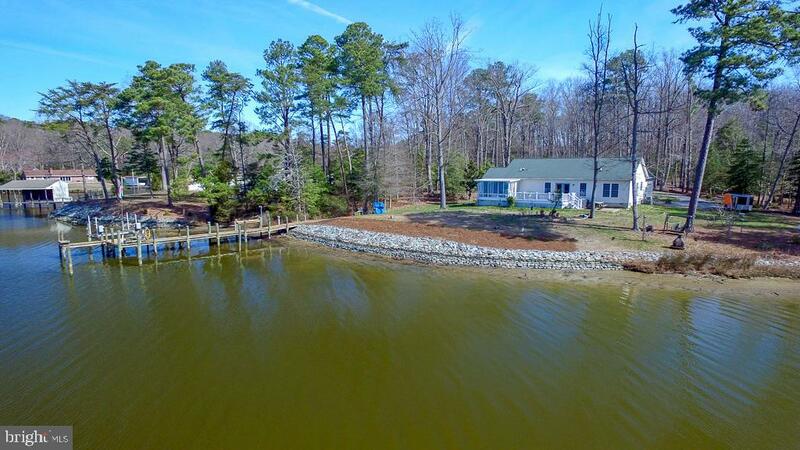 Call Today for details or to schedule a showing"
"PRIVATE WATERFRONT LOG HOME NESTLED IN THE WOODS ON A PROTECTED COVE OFF OF THE LITTLE WICOMICO RIVER! FISH, CRAB & GROW OYSTERS RIGHT FROM YOUR PIER! 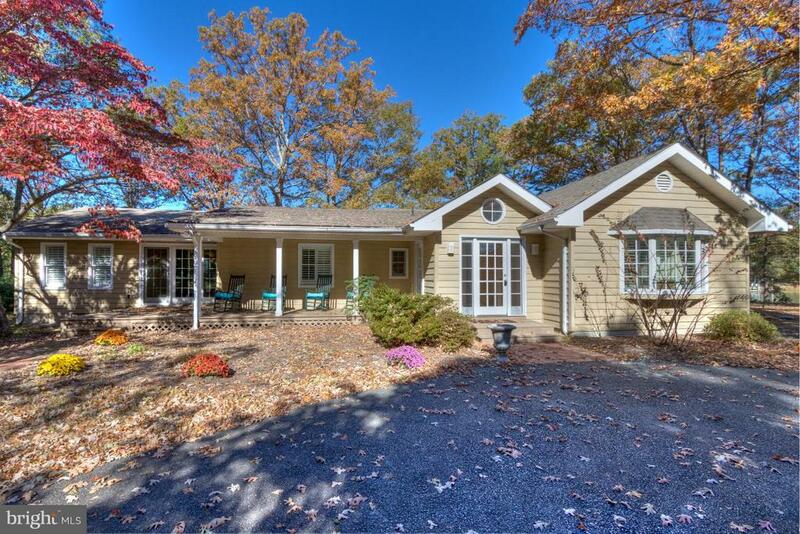 WELL KEPT HOME W/ HUGE GARAGE, SCREENED PORCH, COVERED DECK, CATHEDRAL CEILINGS, COZY FIREPLACE & MATURE TREES FOR PRIVACY. 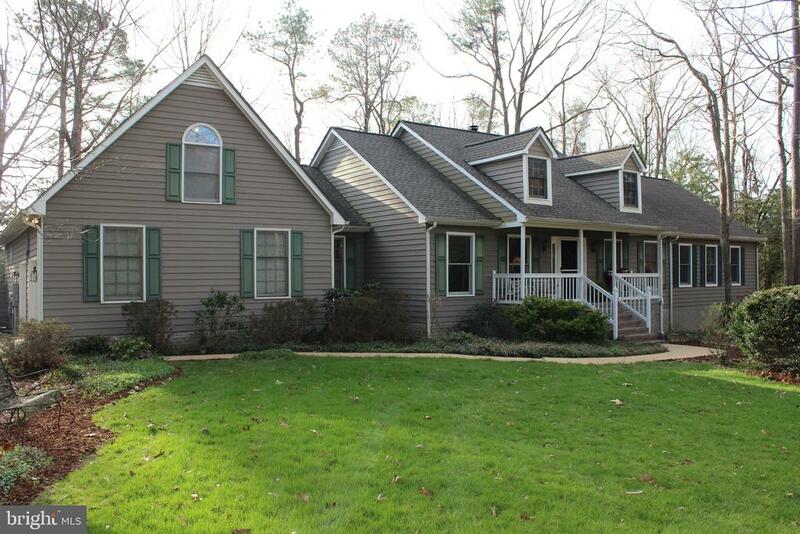 LOCATED IN GORGEOUS WATERFRONT NEIGHBORHOOD IN THE NORTHERN NECK OF VA ! GET AWAY FROM IT ALL AND RELAX ON THE WATER!" "Cute waterfront cottage with AMAZING views of the Potomac River right in your backyard. This 3 bedroom 2 full bathroom home has an updated galley style kitchen with white cabinets, stainless steel appliances and recessed lighting. Enjoy warm summer evenings on either of two screened in porches. Relax in the hot tub or sun yourself or fish/crab on the 84' dock equipped with boat/jet ski lifts, water and electricity. Plenty of room along the sandy beach for family, friends and pets to enjoy. The kids will enjoy sleeping in the upper loft that overlooks the great room with dining area. An additional 1 acre lot, directly across the street for parking all your water toys and recreational vehicles. Minutes away to the Chesapeake Bay by boat." "Large 2450 sq. 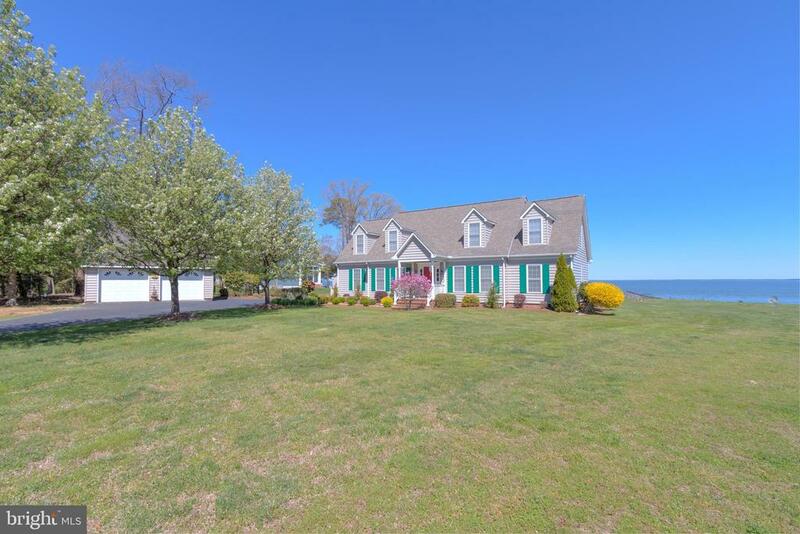 ft. home on 3.7 wooded acres with sand beach and wide unending views looking out into the mouth of the Potomac River and Chesapeake Bay. The house is designed so that almost every room faces the water and features 3 bedrooms and 2.5 Baths, Dining Room, Family Room, Den w/ Fireplace, Sliding doors to the waterside. Great property with incredible white sandy beach!" 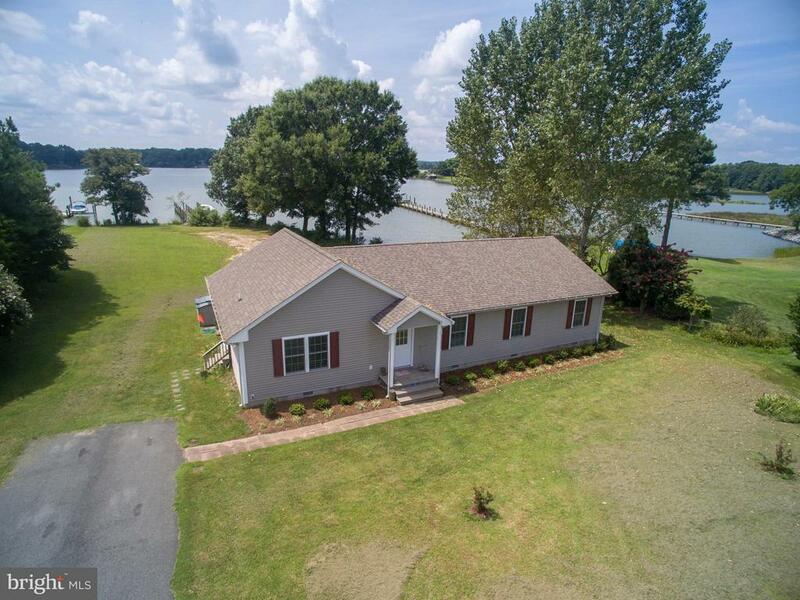 "Come enjoy the Rivah at this turnkey home! The great room/dining combo features vaulted ceilings & a wall of windows facing the water. The kitchen is open to the great room & there are fantastic views from the sink to the bar. The master bedroom has a private deck, great views, & master bath. Room for the whole gang w/ 3 guest rooms. Huge deck, concrete patio, sandy shoreline & dock w/ 4~ MLW." "WATERFRONT! 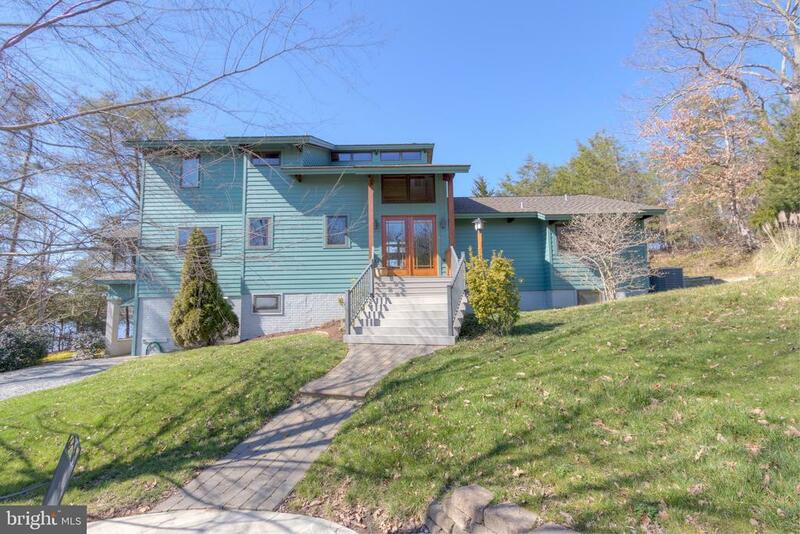 Beautiful 2 story river cottage on a protected tidal pond and with access to the Potomac River. Enjoy the phenomenal water view through your sliding glass doors and windows throughout. The interior features an open floor plan, kitchen with stove/oven, microwave, dishwasher, and eat-in area, living room with brick gas fireplace, vaulted and beamed ceilings, and 3 spacious bedrooms. On the first floor you have two bedrooms with a full bath to share. The upper level is the owner suite with large bathroom and walk-in closet, the master bath even has a jetted soaking tub. Additional features include a large garage with washer/utility room area, newer HVAC system, newer flooring, and newer roof. 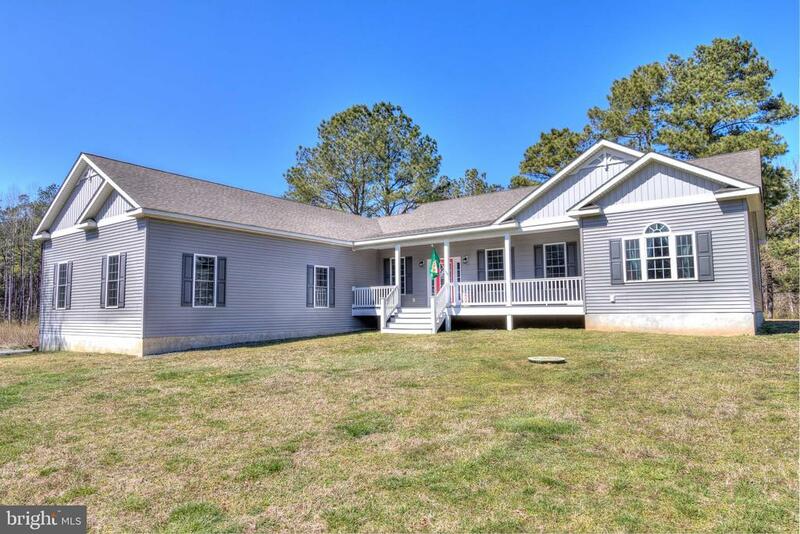 The exterior boasts and adorable front porch with teal door, screened-in back deck perfect for outside relaxing, attached garage with double door access in the rear for storing bikes, golf cart, etc, a firepit, fenced area in back, private paved driveway, and a deepwater well. Have fun on your own private dock fishing, crabbing, kayaking and more. Lovingly well-maintained landscape. Neighborhood offers water access, beaches, boat ramp, dock/pier, and common area recreation facility." "You've found a hidden pearl in Northumberland County in the Waterfront, Amenity Rich, Community of Bay Quarter Shores! Don't miss this opportunity to see an exceptional waterfront home with tons of updates and upgrades throughout and recently renovated!!! Upstairs offers a custom kitchen with swirl granite countertops, stainless steel appliances, and gorgeous custom cabinets. Formal dining room, living room and an incredible 4 seasons room you will never want to leave! Cathedral ceilings, tile flooring, and the most incredible views! 2 spacious bedrooms upstairs as well, one master with a full bathroom, and a second bedroom with a full bath in the hallway.Downstairs, you have an office/bedroom with tons of natural light. A generous sized family room with fireplace, a wet bar, a full bathroom, a great laundry room and a workshop or storage room. Lots of storage space! The house includes a 1 car garage and is one of the few homes in the area to offer geothermal heating and cooling which is an excellent and energy efficient way of reducing monthly expenses, as well as low maintenance exterior and tilt-in windows!Looking out to Cod Creek, your backyard offers you a partially fenced side yard for pets or children at play, beautifully landscaped including mature trees and even your own fig tree! Small garden shed. You also have a small boat davit, and a 2 kayak stand that conveys! Fiber optic cable TV and internet are available.The community of Bay Quarter Shores is located on the shores of the Potomac River, just a few miles from the Chesapeake Bay, tucked between Cod Creek and Presley Creek. The community clubhouse, swimming pool, picnic tables and playground as well a beautiful sandy white beach is just across the street, steps away for season long entertaining! The community also offers a boat launch, golf driving range, tennis and basketball, fishing benches and a network of natures trails. A full time maintenance person maintains all common area and facilities. HOA "
"Enjoy a like-new, modern home in a private rural setting at this fantastic property! 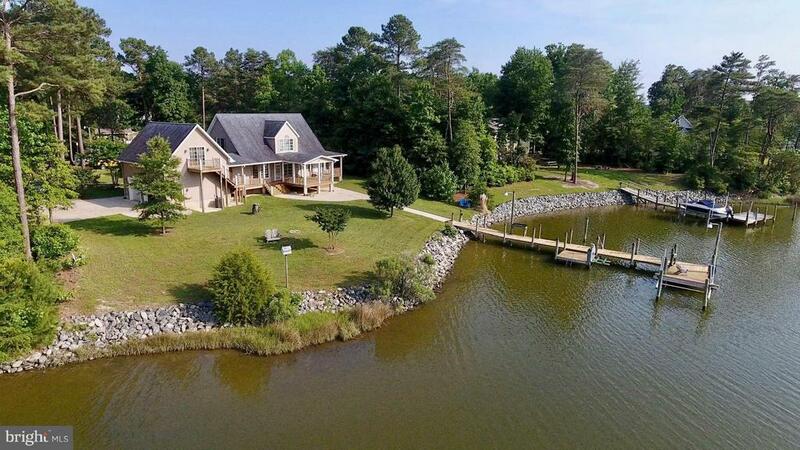 Located in a waterfront community, this home has a boat ramp with access to the Great Wicomico River! With 5 acres of land, there is room for horses and plenty of room for dogs and kids to play! Constructed in 2014 this home has an ideal open floor plan. Hardwood floors run throughout the main living area. The kitchen has beautiful granite counter tops, a large island with bar seating, stainless steel appliances, 5 burner gas cook top, wall oven and microwave and dishwasher. There is an office or den located just off the living room. The master bedroom features a walk in closet. The master bath has dual vanities, soaking tub, custom tile shower and a separate room for the toilet. The two guest bedrooms have oversized closets and are a great size. The guest rooms share a bath with dual vanities and a separate room with the shower and toilet. There is also a powder room and large laundry room. The attached garage is huge with ample space for cars, boats and work space! The property also includes an automatic generator, shed and metal building that could be used as a barn." "Private Waterfront Property in Pristine Wooded Setting! 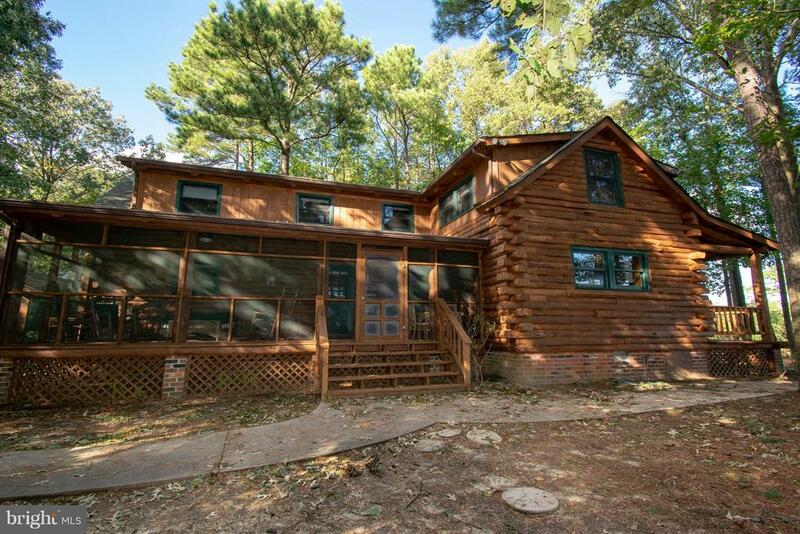 Move-In Ready Home - With Second House Location Overlooking the Water - on 3.21 Acres! 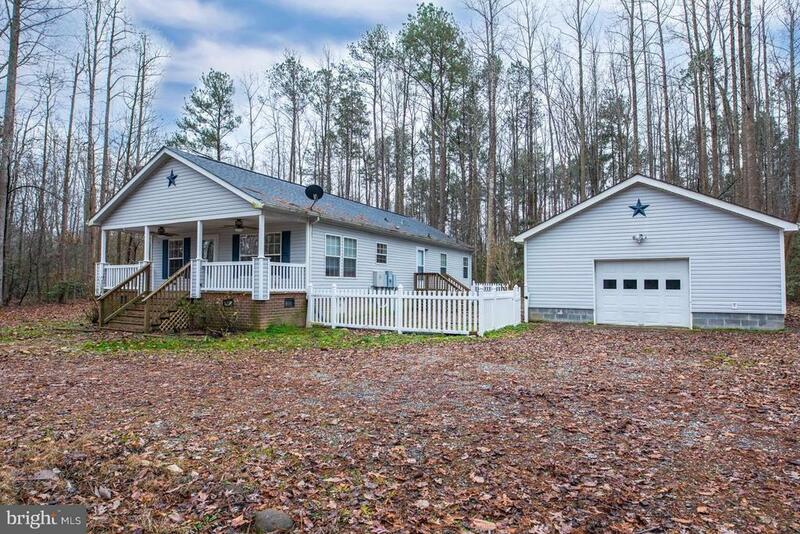 Freshly Painted 3 Bedroom, 2 Bath Home Features a Country Front Porch Leading to an Open Floor Plan, Spacious, Bright Kitchen with Recessed Lighting, and Master Bedroom w/Elegant Master Bath. Ceiling Fans Throughout! Bring Your Boat, Jet Ski and All Your Water Toys! 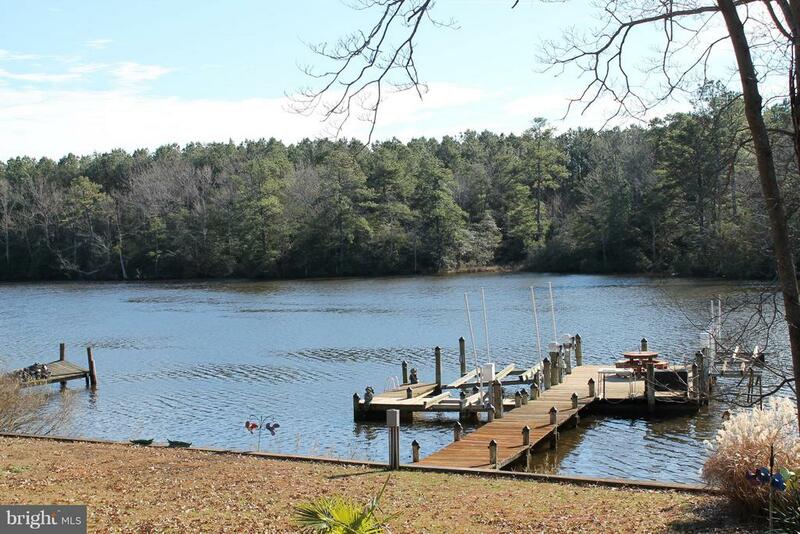 The Property's Waterfront Cove Has Both Stationary and Floating Docks! Brand New Heat Pump! Fenced Courtyard Between House & Garage! Build Your Dream Home Right On The Water and You'll Have a Great In-Law or Guest Home! Whole House Generator & Large Detached Garage. Property Has So Much to Offer At This Great Price!" "Owners are ready to sell and said to bring all offers! 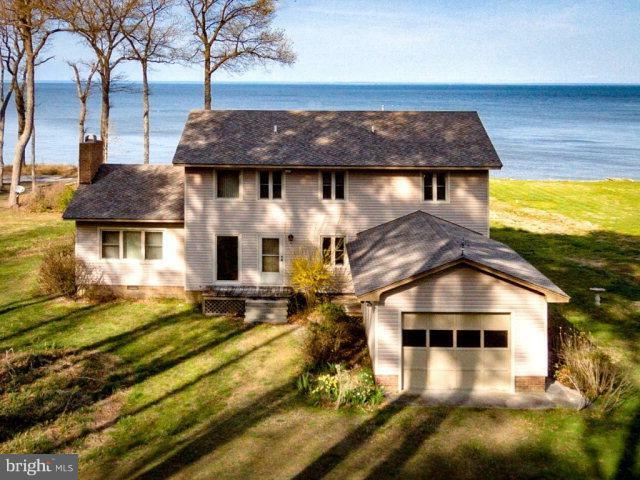 For vacations or everyday this well maintained waterfront rambler has it all. Everything from the stamped concrete walkway leading to the front door and back yard , to the beautifully remodeled kitchen with granite countertops, upgraded appliances, tiled backsplash and under cabinet lighting. You will love the spaciousness of the living room with vaulted ceiling. Or relax in the sunroom or on the back deck overlooking your gorgeous views of the Little Wicomico River. The water enthusiast will appreciate the 4 boat lifts including a 10 ton boat lift, jet ski lift, and one for kayaks. Plenty of space on the dock to enjoying dining or just soaking up the sun with the 16x27 deck. Did you say you want more? How about the added storage space in the oversized shed? A whole house generator, roof replaced in 2014 with hurricane grade shingles. You will find that when you have a waterfront property all of your friends and relatives will want to visit, so there is plenty of parking in the driveway or on the street . All of this at the end of a quiet cul de sac street making this a truly rare find. So come and see this special place that you can call home!"